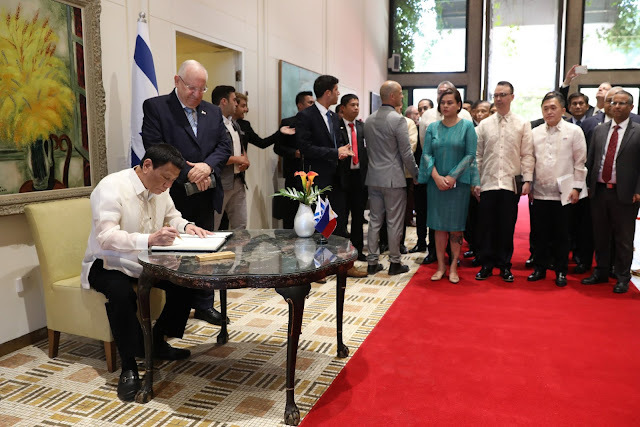 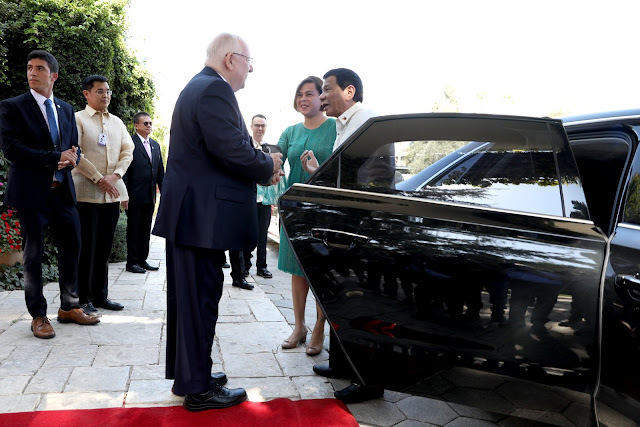 President Rodrigo Roa Duterte, together with his daughter Davao City Mayor Sara Duterte-Carpio and the other members of the Philippine delegation, meet with President Reuven Rivlin of the State of Israel in an official welcome accorded by the Israeli leader at the Official Residence of the President in Jerusalem on September 4, 2018. 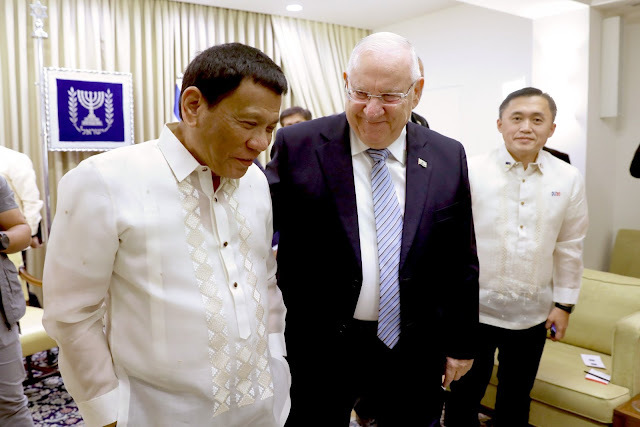 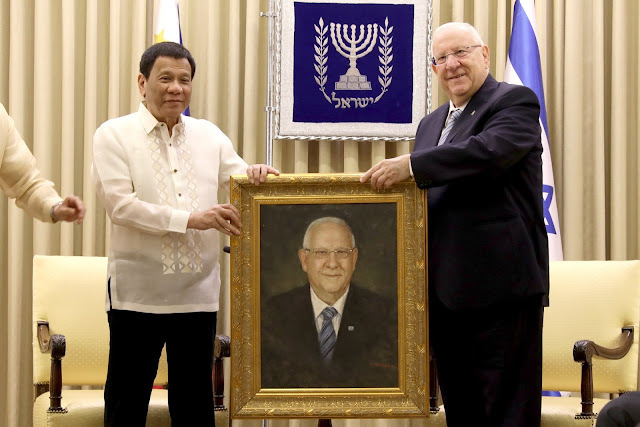 Israeli President Rivlin poses with the Philippine Chief Executive and his delegation in a photo opportunity and convenes with them for a meeting and delivery of official statements. 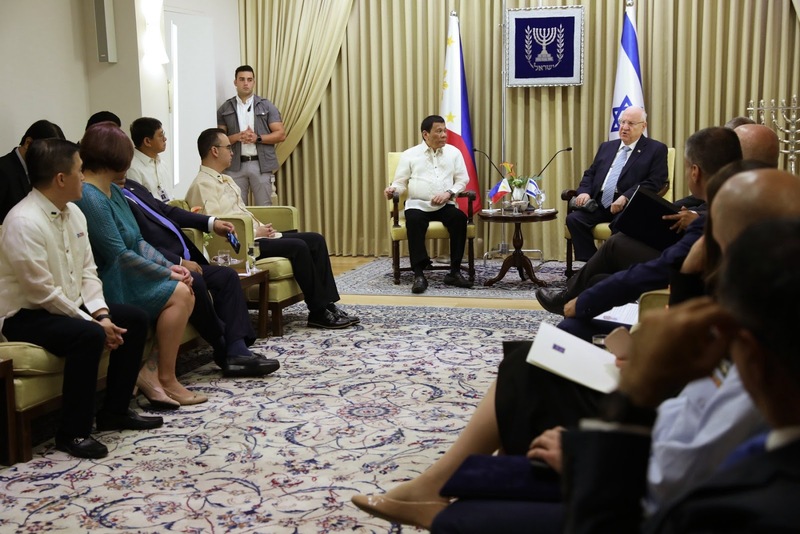 President Rodrigo Roa Duterte speaks before the business delegation from the Republic of the Philippines and State of Israel after he witnesses the exchange of 22 business agreements at the Ambassador’s Hall of King David Hotel in Jerusalem on September 4, 2018. Three (3) memoranda of agreement (MOA), 11 memoranda of understanding (MOU), and eight (8) letters of intent (LOI) are signed by business representatives from both countries. 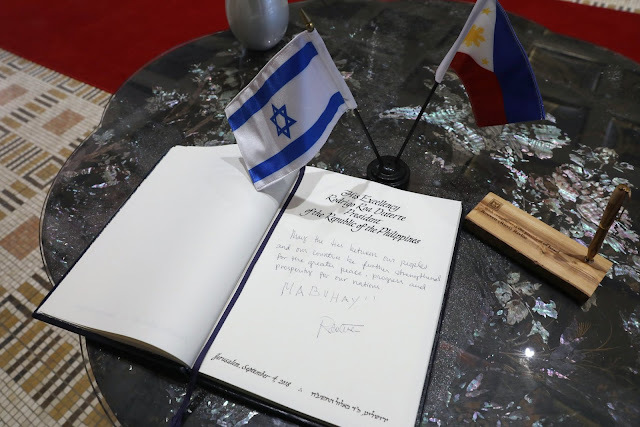 Both governments, the Philippines and Israel, have not yet released official details of the arms deal inked during the visit. 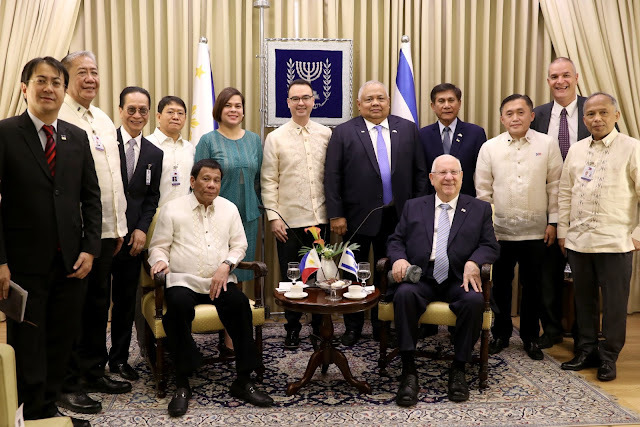 After the signing ceremony, President Duterte poses with the business leaders for a photo opportunity.